Daniele Marinazzo obtained his Master Degree in Physics in 2001 and his PhD in Physics in 2007 from the University of Bari, Italy. The activity of his research groups focuses on methodological and computational aspects of neuroscience research. His research has always been interdisciplinary, being a physicist who has always worked side by side with clinical and experimental neuroscientists, even performing electrophysiology experiments himself, on rats and cats during his postdoc at CNRS in Paris (2008-2011). 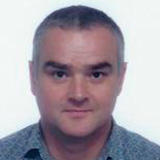 He has been appointed as professor at UGent in the department of Data Analysis of the Faculty of Psychology and Pedagogical Sciences starting from 2011 and his group has started fruitful collaborative projects involving advanced data analysis with the departments of neurology, psychiatry and clinical psychology at UGent. He is involved in active collaborations with theoretical and experimental groups in Belgium, Spain, Italy, France and China. He teaches techniques of neuroimaging data analysis. He is member of an international consortium aimed to promote exchanges and support to Chinese students (Plan 111). 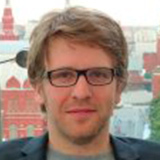 He organizes regularly workshops, conferences and journal special issues around connectivity methods and their applications to neuroscience. He is member of the scientific committee of the Ghent Institute for Neuroscience, serving as an umbrella for interdisciplinary and translational research. 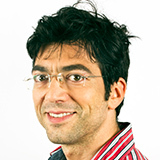 Daniele Marinazzo is editor of PLOS One, Frontiers in Neuroscience and Frontiers in Robotics and Artificial Intelligence, and referee for many journals in the field of neuroscience and applied physics and mathematics. Dimiter Prodanov obtained an MD degree from the Medical University – Sofia in 1999. In 2006 he obtained a PhD degree in Neuroscience from the Twente University, Enschede, the Netherlands. He was awarded a John G Nicholls fellowship from the International Brain Research Organization (IBRO) in 2006 to continue his research in Neuroscience in the Catholic University of Louvain, Belgium as a visiting scientist. In 2008 the he completed a postdoctoral training at the University of Liege, Belgium. 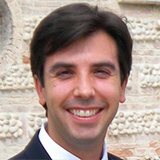 Dante Mantini obtained a Master degree in Electrical Engineering (2002) and a PhD in Computer Science (2006) from the Marche Polytechnic University (Italy). In 2006 he moved to the G.D’Annunzio University (Italy), where he started working in the field of neuroimaging/neuroscience. Between 2006 and 2008, he worked with different brain imaging techniques, such as magnetoencephalography, electroencephalography, functional magnetic resonance imaging. His work led to the award of three conference prizes as young investigator. In 2009 he moved to the KU Leuven (Belgium) after being granted an independent postdoctoral fellowship by the Research Foundation Flanders (FWO). At KU Leuven, he gained experience with structural and functional imaging studies in non-human primates. He was jointly appointed in 2012 at the University of Oxford (United Kingdom) as independent research fellow and at ETH Zurich (Switzerland) as research group leader. Most recently, he has been offered a highly prestigious Research Professorship at KU Leuven, which he will take up in October 2015. Dante Mantini is author of over 70 papers in refereed journals, including papers in Science, Nature Methods, PNAS and Brain. His research is currently funded by the Wellcome Trust, the Royal Society, the Swiss National Science Foundation and the European Commission. He leads the Brain Imaging and Neural Dynamics (BIND) group, which focuses on the development of multimodal imaging methods to better understand mechanisms of long-range neuronal communication in the brain. Dr. Vanduffel has extensive expertise in the use of neuroimaging to study humans and behaving monkeys. His specific area of interest is the primate visual system. He compares directly the functional organization of the visual system in human and nonhuman primates using the fMRI technique. Currently, he studies how visual representations are modified by extra-retinal signals and he focuses on functional interactions across brain regions. To achieve this, he is using state-of-the art functional imaging methods combined with behavioral and ‘perturb-and-measurement’ techniques in non-human primates. In particular, he investigates the behavioral and functional consequences of reversible (in)activations using microstimulation, focal drug injections, and optogenetics. He also studies the effect of attention and reward signals on sensory processing. Ben Jeurissen obtained an MSc in Computer Science in 2004 and in Biomedical Imaging in 2006. In 2012, he obtained a PhD in Science from the University of Antwerp, Belgium. From 2012, he worked as a post-doctoral researcher in the Vision Lab, at the Physics department of the University of Antwerp and at The Florey Institute of Neuroscience and Mental Health in Melbourne, Australia. He is a Junior Fellow of the International Society of Magnetic Resonance in Medicine and specializes in processing of diffusion MRI data for investigating microstructural tissue organization. Jan Sijbers graduated in Physics in 1993. In 1998, he received a PhD in Physics from the University of Antwerp, entitled Signal and Noise Estimation from Magnetic Resonance Images”, for which he received the Scientific Award BARCO NV in 1999. He was an FWO Postdoc at the University of Antwerp and the Delft University of Technology from 2002-2008. In 2005, he became a lecturer and in 2010 senior lecturer. In 2014, he was appointed full professor at the University of Antwerp. He is Associated Editor of IEEE Transaction on Image Processing as well as of IEEE Transaction on Medical Imaging. Furthermore, he is in the editorial board of Physica Medica. 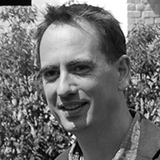 Jan Sijbers is the head of iMinds-Vision Lab and co-founder of IcoMetrix. He has abundant expertise in Magnetic resonance image (MRI) processing, Diffusion MRI, Computed Tomography. 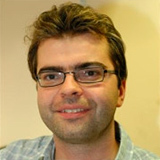 Trained as cellular neurobiologist, Yann Le Franc obtained a PhD in Neurosciences and Pharmacology (2004, University of Bordeaux 2, France) during which he co-developed a real-time system to connect biological neurons with artificial neurons (dynamic-clamp), performed dynamic-clamp experiments and developed computational models to understand how pain (nociceptive) information is processed in the spinal cord. After his PhD, he worked for 2 years as system/network engineer at CNRS (Gif-sur-Yvette, France) and then went for a postdoctoral position at George Mason University (Fairfax, VA, USA) and NIH (NIMH, Bethesda, MD, USA). During this experience abroad, he performed simultaneous patch-clamp recordings and calcium imaging on triple organotypic co-cultures (cortex-striatum-substantia nigra) to investigate the impact of dopamine on information processing in striatum. Throughout his career, he has developed a strong multi-disciplinary training and a deep understanding of the scientific data management problem. Since 2009, he is involved in the development of tools for improving the management of Neuroscience data and Computational models within two INCF programs, the MultiScale Modeling program and the Electrophysiology Datasharing program. As lead developer of two domain specific ontologies (CNO, the Computational Neuroscience Ontology and OEN, the Ontology for Experimental Neurophysiology), he acquired an extensive knowledge of tools, infrastructure solutions, knowledge modeling and good practices. He became a recognized expert in the field and is tightly involved with the Biomedical ontology community. In addition to his development activities, Yann organized several events, workshop and courses as coordinator of the Belgian INCF (since 2009) and recently co-founded EUON, the European Ontology Network. Since 2014, Yann is the CEO and founder of the start-up e-Science Data Factory located in Paris (France). 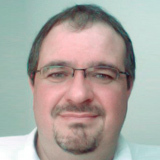 He contributes with his expertise as a partner in the project EUDAT (www.eudat.eu), which receives funding from the European Union’s Horizon 2020 program –DG Connect e-Infrastructures (contract n° 654065).